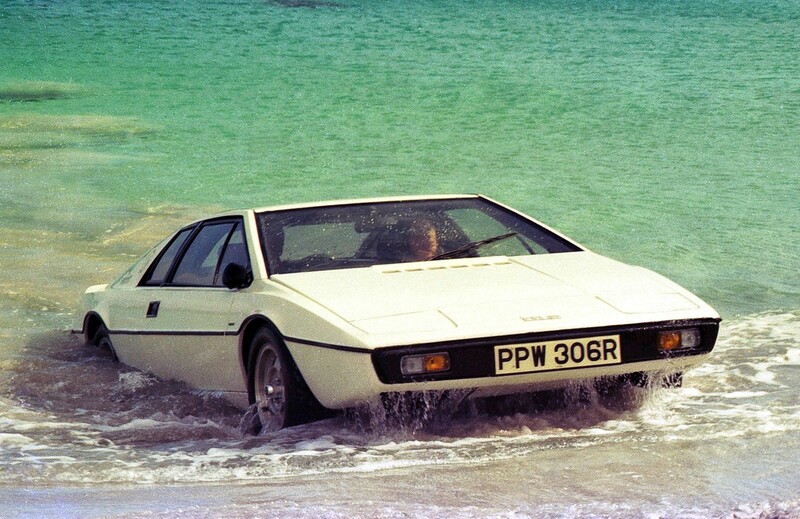 Combining the latest in Lotus engineering with period details, the new pure-bred supercar takes design cues from the iconic Esprit and integrates them into a car. Packing 410 hp into a car that weighs just 1,280 kg, it sprints from 0-60 mph in just 3.9 secs. 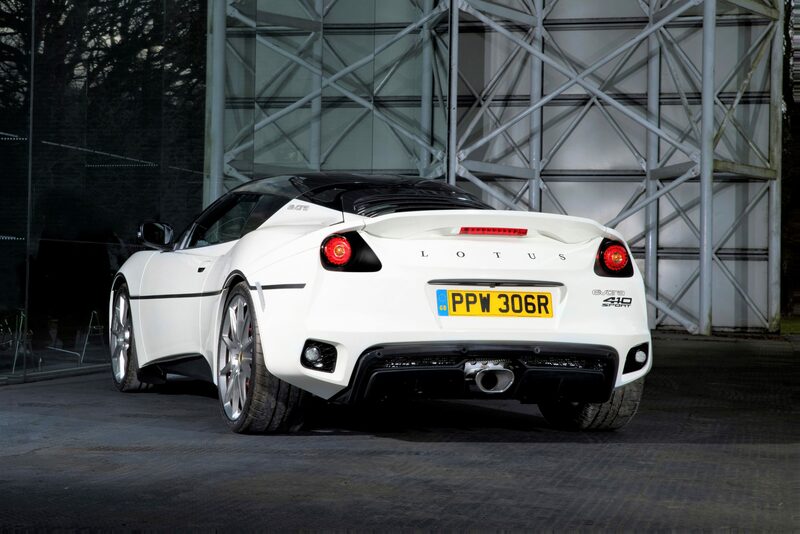 The work of the in-house personalisation department, Lotus Exclusive, this one-off Evora Sport 410 features many unique design touches. A special, colour-coded bumper modifies the car’s front end, while the one-piece carbon-fibre tailgate is part keyed white to give the illusion of a traditional liftback. In addition to a black coach line, delineating the car’s waist, it sports a bespoke badge script on the B pillar – in the style of the original Esprit’s graphics. 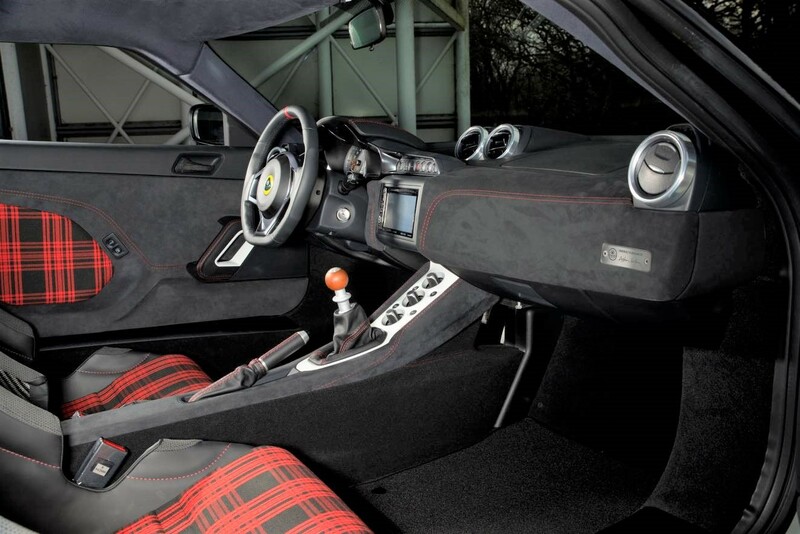 Nods to the Lotus Esprit S1 continue inside with the insert panels of the carbon-fibre sports seats and door cards trimmed in the popular heritage Tartan. 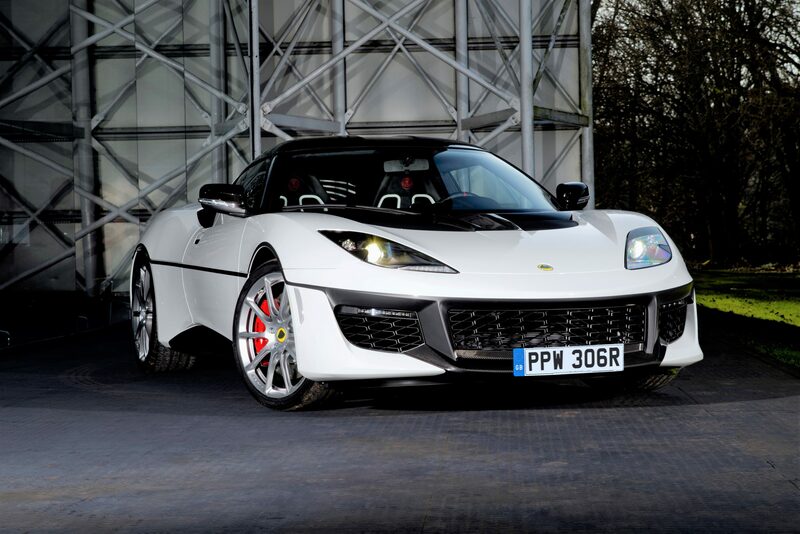 Beneath the personalisation, this unique car retains all the engineering elements that make the Evora Sport 410 so formidable. From the supercharged, 3.5-litre 6-cylinder engine, producing 410 hp at 7000 rpm and 302 lb-ft of torque at 3500 rpm, to the advanced aerodynamics, which deliver up to 64 kg of downforce, it’s designed to deliver both on road and track. The use of hand-made carbon-fibre components has been key in keeping mass to a minimum, with each specifically designed to enhance the car’s performance. Covering the car from nose to tail, they include front splitter, revised front access panel, roof section, tailgate, rear quarter panels, as well as the rear diffuser.